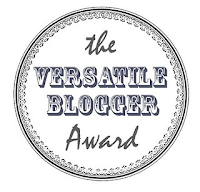 Anki On The Move: And The Versatile Blogger Award Goes To.. Thanks a bunch to Ruchita,an amazingly versatile fellow blogger who nominated me.It quite came as a surprise,I must say.New to blogging,I had never heard of this term "Versatile Blogger" before,but kudos to the great effort by Ruchita,who had listed all those fellow bloggers along with the description of each and every blog,quite a work.Now its my turn..phew! Let me see..
Ruchita,one thing is for sure,you are lucky to have friend "Anshika" who is really concerned about your blogs preciseness and grammatical errors.I wish I had someone to do the same for me,some kind of fairy editor :)..Anyways My wishes and luck are always with you,keep blogging. 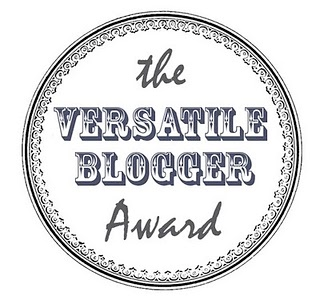 Now I must pass this lovely award onto other fabulous bloggers!!!! 1.I would love to nominate Arvind Passey from "http://passey.info/" .He has an amazing blog with lovely description of his tales and travels from almost everywhere. 2.Ruchita from "http://undiscoveredindiantreasures.blogspot.in/".A new blog,but contains description of new undiscovered places. 5. Somesh from "http://santuonline.wordpress.com/" has awesome collection of his thoughts and experiences in his blog. 1.I enjoy travelling,so much that If given a chance,I would love to travel throughout my life,and never settle down. 2.I love planes,there's something in them that makes me go weak.Flying a MIG is on my wishlist. 3.Friends to me are my family.And Family to me are my friends.I love to keep them close to my heart: both friends and family. 4.I am an impulsive buyer and quite stubborn at that.I can buy at a mall,at a road side shop,at a grocery,almost everywhere.I hardly do window shopping. 5.I love being fashionable most of the times.But sometimes I love being just me in my loose clothes. 6.I believe in all religions,I am non-political and I love my India. 7.I love those old kodak printed moments,and miss them in recent times.